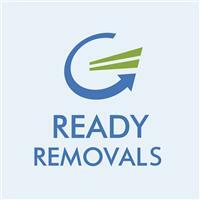 Ready Removals provides a comprehensive and stress free removals service covering; domestic moves, commercial moves, packing services & storage from London across UK. Our rates are very competitive and we produce quotes based on a complex algorithm to meet every households unique requirements. We are a family run business based in North London, we strive to provide an exceptional moving experience and work hard to maintain customer satisfaction. We operate a professional fleet of removal vehicles from 3.5 tonne Luton vans up to 18 tonne lorries depending on the difficulty and the size of your move.